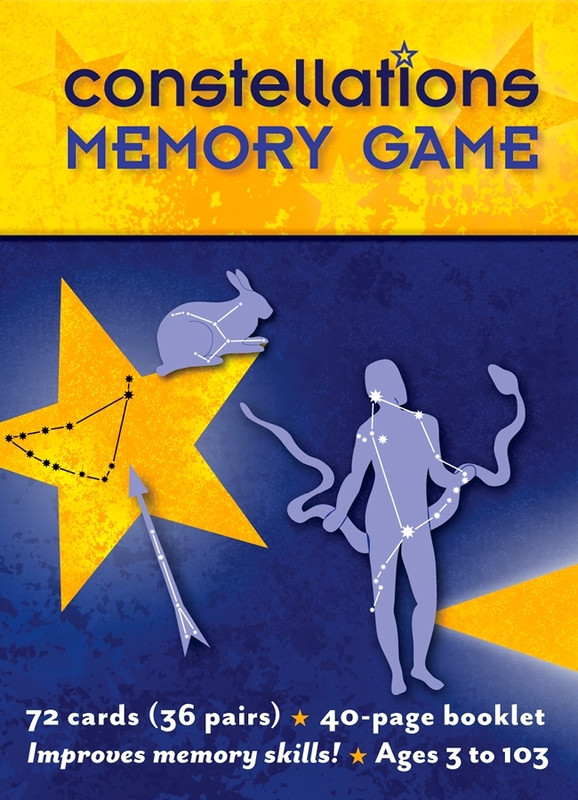 Based on familiar constellations, this memory game includes illustrations of the zodiac signs plus 24 additional star patterns including Cygnus, Orion, Pegasus, and more. 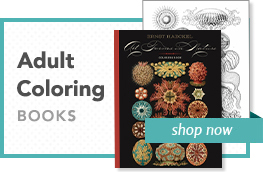 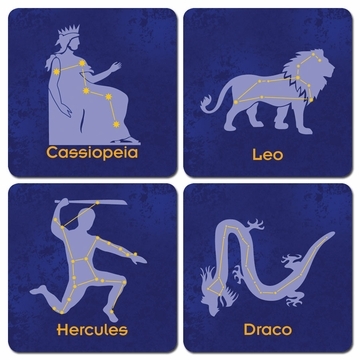 Kids of all ages can enjoy playing the game and learning from the accompanying booklet about the stories, legends, and myths that help illuminate the constellations. Instructions for play are printed on the bottom of the sturdy, reusable box, which neatly stores cards between games and includes a 40-page information booklet with details about the featured illustrations.